Although the shock of a car crash may only last a second, the physical, financial and emotional consequences of a wreck can linger for the rest of your life. You may suddenly find yourself facing debilitating injuries, mounting medical bills and time away from work that you and your family can’t afford. If you’ve been injured in a car wreck, the experienced car accident attorneys at the Law Offices of Gary Bruce can ease the burden of your recovery by fighting for your rights and seeking the justice and compensation you deserve. Call us today at 706-596-1446 to discuss your case for free. We welcome clients from in and around Columbus and Fort Benning, Georgia as well as Phenix City, Alabama and surrounding areas. We are local, committed and results-driven. Why choose the Law Offices of Gary Bruce? Although we commonly refer to them as accidents, most car wrecks are preventable, and usually the result of careless decisions and reckless behavior. In fact, the National Highway Traffic Safety Administration (NHSTA) estimates that more than 90 percent of crashes can be directly linked to human error. Unfortunately, even if you obey the rules of the road and do everything possible to ensure the safety of your passengers and other drivers, you may still be hit by a negligent driver. In some cases, liability is easy to determine. For example, drunk drivers are almost always at fault for crashes. However, other cases can be more complicated and difficult to prove, especially when other drivers dispute your account of events, or if an insurance company depreciates the value of your claim. With our experienced attorneys on your side, you can trust that your rights will be protected during every step of your case. For more than 25 years, the Law Offices of Gary Bruce has served Columbus, Phenix City and many other communities throughout Southwest Georgia and Alabama. We are intimate with local laws and know how to build your most compelling case. Call the good guys today for a free consultation. We want to get things right from the start. That is why our lawyers meet with you, in person, from the beginning to be able to know your case. There is no substitute for early review and advice. The insurance company gets lawyers involved from the beginning and it is not to make things better for the injured victims. Driving requires your full attention. Since many drivers operate a vehicle multiple times every day, the familiarity of driving can lead to a lax level of attentiveness behind the wheel. It’s crucial to realize that any lack of focus and concentration while driving can endanger you and everyone else on the road around you. Even though the law is evolving and penalties exist in the criminal law for distracted driving, it is still a factor to be considered by a jury in evaluating a case. Few events are more devastating than being injured or losing a loved one in a drunk or impaired driving accident. Despite exhaustive efforts to educate drivers about the dangers of operating a vehicle while intoxicated, thousands of innocent travelers are injured or killed every year by drunk drivers. Punitive damages: Compensation over and above reimbursement for the economic and non-economic costs of an accident, intended to punish and send a message to the driver and discourage repeat behavior. Dram shop liability: Liability held against the restaurant or bar that provided the alcohol to the driver, for continuing to serve alcohol to someone who is already intoxicated, or to minors. Criminal conviction: A DUI conviction can result in fines, parole and jail time, in addition to the loss of a driver’s license for a period of time. How do you bring a case against drivers impaired by alcohol and other substances? Alcohol-related accidents can be easily prevented in today’s society. The law prohibits: drunk driving, the furnishing of alcohol to a minor, and providing alcohol to a person about to operate a motor vehicle. Therefore, a drunk driver is always liable for harm caused by this negligence. However, there may be additional liability held against the restaurant or bar that provided the alcohol to the driver, as well as the business for continuing to serve alcohol to persons who are already intoxicated, or to minors. There can also be liability for negligently allowing someone known to be a menace to operate a vehicle or have access to the wheel. What is different about a case involving a DUI? We recognize how devastating these alcohol-related accidents can be for the innocent victims. In order to prevent the driver from harming others in the future, the driver is often punished by the obligation to cover medical expenses and lost wages, as well as the loss of quality of life. A jury can also impose punitive damages in an amount necessary to punish the defendant for their conduct. Collect yourself and get your head together. Ensure the well-being of everyone in your vehicle, and that they will be okay in the short term. Collect the names and contact information of witnesses. Take pictures of the crash scene from several angles, including the position of all vehicles involved. Contact the police and get an incident report filed. Get checked out medically. The ER is always an option if you don’t have other medical choices available. Contact the Law Offices of Gary Bruce to discuss your situation and options. 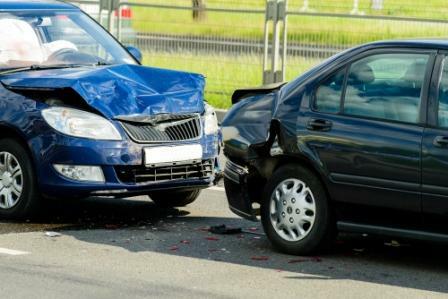 Not every car collision needs the involvement of an auto accident attorney. If you’ve been in a minor fender bender with no injuries and little to no damage to your car, a lawyer may not be able to offer much value. However, many accident cases require the knowledge, skill and resources of an experienced personal injury attorney to obtain justice and compensation for injured victims. One of the most challenging aspects of car accident cases is dealing with insurance companies. Insurers are in the business of making money, not paying out settlements. These companies will do everything possible to delay, devalue or deny your claim. Even if your claim is successful, you probably won’t obtain the full measure of compensation you deserve by dealing with insurers on your own. Although insurance company representatives often argue that minor property damage means you cannot be injured, we have found over the years that doctors and juries do not necessarily agree. If you are injured, don’t take the word of the adjuster, trust the experience and knowledge of a personal injury lawyer to tell your story effectively. You or a loved one suffered injuries that result in medical bills and time away from work. The insurance company offers a settlement that seems low or is offered before you know the full extent of your injuries and losses. Your insurance company denies the fair value for the total loss of your vehicle. You are getting conflicting information or demands from multiple insurers, such as your car insurance company or health insurance company. While it can occasionally seem obvious who is at fault for an accident, many cases require a meticulous examination of evidence to determine liability. An early review and early preparation can help avoid issues that might arise later. Wrecks occur unexpectedly, and many drivers aren’t aware of all the factors that led to the final collision. If you’ve been in an accident, it costs you nothing to contact our firm to discuss the merits of your case and whether or not you may benefit from legal representation. The decision to hire an attorney is always yours alone. We will provide you with honest, straight-forward feedback. If we don’t think you need a lawyer, we’ll tell you. If we believe we can offer value to your claim, we’ll tell you that, too. Our job is to talk to you about your options – throughout the process – and give you the information and advice you need to make decisions. The physical, financial and emotional consequences of a car accident can vary greatly from case to case. Some people walk away with minor bruises, while some people’s lives are tragically never the same. Every day, we fight aggressively for our clients who have been injured or lost a loved one because of someone’s careless or reckless actions. After an accident, you may experience diminished capacity to earn and labor, fear of the extent of injury, limitations on your ability to work and do the things you enjoy. It is not all about actual pain; the alteration to your life is a large component of damages that is often overlooked. If a crash involves property damage and bodily injury, damages for both do not need to be resolved at the same time. Our attorneys will determine the best strategy to ensure you get the full recovery that you deserve. When car wrecks result in death, family members may be able to obtain compensation for funeral expenses, lost future earnings, loss of companionship and other costs related to medical care through a wrongful death claim. Our experienced attorneys understand the legal and emotional complexities of these cases and can help you face this difficult time with dignity and strength. Accidents involving military personnel require special knowledge and skill. We understand the intricacies of cases that happen both on and off military bases and are proud to offer comprehensive legal services for military families. We have dealt with the army, the army hospital and the government for more than 25 years. We know from experience how best to maximize a solider or military dependent’s recovery when it involves coordination with the government. It can be a slow process, but it is necessary. In the military community, doctors frequently move around from base to base. It’s crucial to handle cases with an eye toward preserving important medical testimony. We are adept at coordinating with Martin Army Hospital and the local medical community. The nature of military service can make it difficult for service members to fully assert many of their legal rights. The Soldiers and Sailors Civil Relief Act (SSCRA) offers certain protections to service members when appropriate. The act provides protections but can also complicate a recovery if it involves another soldier. Early action and knowing the issues can help get matters resolved with more efficiency and with better results. Experience in this area – and having dealt with soldiers on both sides of a case - can make a real difference in the outcome of a case. Our experienced team of lawyers will closely examine every detail of your situation to help build your most compelling case. The sooner you contact us, the stronger your case will be. Why Choose the Law Offices of Gary Bruce for Your Car Accident Case? After a wreck, choosing the right car accident attorney may be one of the most important decisions you will make. An experienced lawyer can determine the most effective strategy for your claim and take the necessary steps to prepare a compelling case on your behalf. The Law Offices of Gary Bruce has been located in the heart of downtown Columbus for more than 25 years. We are intimate with local laws and options, and have a comprehensive depth of local resource available to strengthen even the most complex and difficult cases. Our greatest asset may be knowing when to get the expertise necessary for cases. We have a long track record success utilizing respected experts to strengthen cases for our clients. When you work with the Law Offices of Gary Bruce, you won’t be working with just one attorney, you will have the collective skill, knowledge and experience of our entire firm working on your side. We will take the time to fully understand all of the details surrounding your case and develop a strategy that adapts to your specific situation. We understand how frightening and complicated car accidents cases can seem when you’re on your own. Just like the insurance company, this is what we do. We know how to get things done. We are here to ease your burden and focus on your case so you can focus on healing. Our firm is distinguished not only by our experience and proven record of success, but by our compassion for those who have been harmed by circumstances beyond their control. We are committed to fighting for the full and fair compensation you deserve to get your life back on track. We know that when facing unexpected medical bills and time away from work, you don’t have money to spare. It costs you nothing to discuss the merits of your case with Gary Bruce or one of our experienced attorneys. The Law Offices of Gary Bruce offers free in-office and off-site case evaluations. 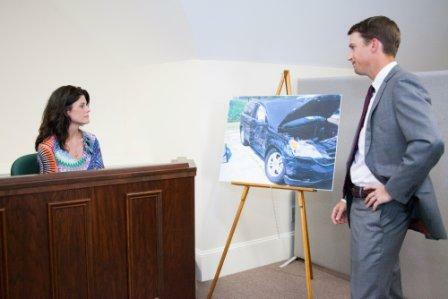 Schedule your complimentary car accident consultation today by completing the form on this page or calling 706-596-1446. We welcome clients from Columbus and Fort Benning, Georgia; Phenix City, Alabama; and the surrounding areas in Georgia and Alabama. Whether in our office, over the phone, in your home or at the hospital, we will work to make it convenient for your schedule. We handle car accident cases on a contingency-fee basis, which means that unless we reach a victory in your case, you owe us nothing. We pick up the expenses involved and can even help with medical options when money is an issue or you do not have health insurance.